Steve Gilbert is a Fellow of the College of Commercial Arbitrators, a Fellow of the Chartered Institute of Arbitrators, a Fellow of the American College of e-Neutrals, a Member of the National Academy of Distinguished Neutrals, an American Arbitration Association Commercial Master Mediator, and a CEDR Accredited Mediator. He has arbitrated and mediated dozens of commercial, licensing, technology, and intellectual property disputes, both provider-administered and self-administered. From 1988 to 2010, he was a partner at a major multi-national law firm, the last three years as Co-Leader of its IP practice group. His legal experience includes litigation, appeals, licensing, counseling, due diligence (e.g., for M&A), and prosecution, and he’s comfortable with all types of technology. Before working as a patent, trademark, and copyright attorney, he was a computer programmer, a chemical process engineer, and a consulting engineer (his undergraduate and graduate degrees are in chemical engineering). 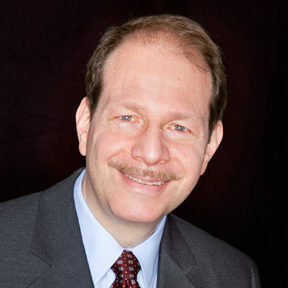 He is on many arbitration and mediation panels, including those of the AAA/ICDR, CPR, WIPO, the New York City Bar Association, and a Federal Court, and has made continuing legal education presentations concerning the use of ADR for resolving technology/IP disputes, mediation ethics, drafting arbitration clauses, intellectual property, software, and licensing. Please visit his website for additional information, including a statement of his ADR philosophy and details of his training and experience.